Subdivision to create six residential lots and balance land including, earthworks, construction of a new bridge, and integration of an existing sewer main within the development. The aerial photograph shows the approximate location of the proposed six residential lots to be established on the site. These will be accessed from a bridge constructed over the informally named “James Cook Stream” which runs parallel with James Cook Drive. The Stream is piped immediately upstream of the site and flows as a constructed stormwater drainage channel on the site. Duck Creek joins the James Cook Stream just to the north of the proposed development area (refer top left of photo). There are established residential properties to the south, west and east, and undeveloped former golf course land, reserve land and Pauatahanui Inlet to the north. The overall application site was formerly part of the Duck Creek Golf Course, and previously referred to as the Lower Nine. The land remains undeveloped with grass cover and is gently undulating, similar to the former golf course. Many of the existing contours on the parent title were created by the earthworks to form the original golf course. Trails for maintenance and access through the former golf course are also visible. Duck Creek flows through the former golf course site. Bush reserves are located to the north and east, with connecting walkways around the application site. 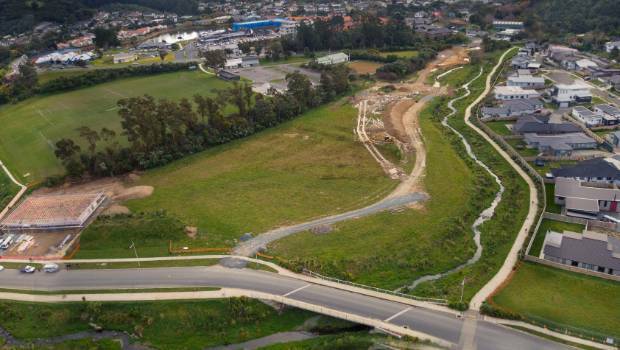 The proposed development is located near a regionally significant stream (Duck Creek)and therefore requires Public notification under the Resource Management Act 1991 to determine suitable Consents for the project. 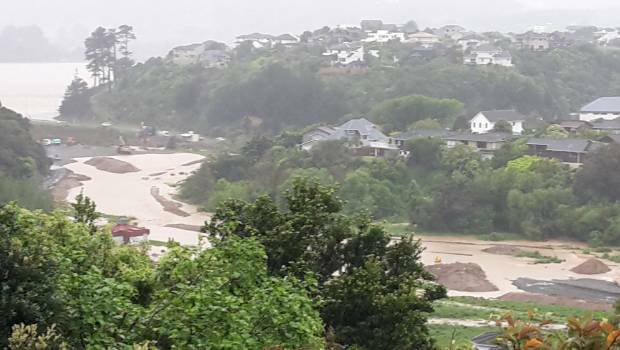 A neighbour objected to the subdivision adjoining his property due to concerns over his view being blocked, despite the land being zoned for residential development. The objector required certainty over preserved views from his dwelling through to the nearby inlet. 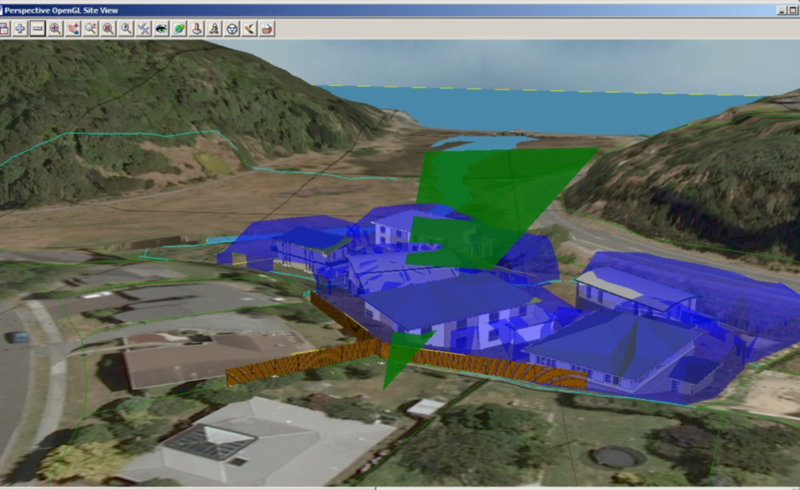 To address the concerns of the submitter, the Carno team utilised 12d Model to demonstrate how the development would integrate into the existing topography and residential properties. Not resolving the objection would result in the project being deferred to a planning hearing ,with little benefit to both parties as such a process takes time and as a high cost. The team prepared and presented visual images to the adjoining neighbour of the consent notice parameters (height restrictions) proposed on the proposed new lots. This approach with 12d Model was a clear and simple way to demonstrate to the objector that his view would be protected. With the Client wanting to minimise the cost associated with the objector, making use of the Visualisation module within 12d Model was seen as a simple, cost-effective way to clearly demonstrate the visual impacts of the development. Manual surfaces were created to represent maximum permitted building height and height to boundary restrictions. The parameters of the view shaft the objector would like to have protected were surveyed in the field and reduced within 12d Model. 12d Model was then used to create a TIN surface of the existing ground surface which had previously been captured via topographical survey. The objector’s property was surveyed and view shaft angles captured. A TIN surface representing the plane of the view shaft was created and the impact of this corridor assessed against the permitted building envelope. The information captured and modelled allowed a perspective view to be generated from specific rooms in the dwelling to compare various development scenarios, being existing views, permitted views and proposed view with height restriction covenants. With the visual images and ‘live’ viewing of the 12d Model projects, the objector was easily able to see the impacts and be satisfied that, with the addition of a height restriction covenant, his view would be protected to his satisfaction, meaning a costly planning hearing could be avoided.